Composition: Stico gum gold is a blend of polyoxy alkyl atyl ethers & alkyl alcohol. Dosage: Sticko gum when added to pesticides spray solution 20-30 ml. per 15 liter of water. Fostered with enormous business understanding of this realm, we are involved in presenting a broad consignment of Sticko Gum. 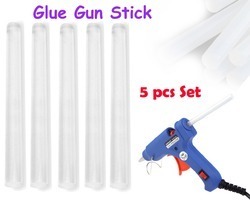 - Very fast drying glue sticks for safe and smooth application, easy to carry packing, apply and storage. Excellent adhesive for paper to paper bonding. It retains its shape on repetitive use. We are leading Supplier of Glue Stick in Ahmedabad Gujarat.Our glue stick is of high and superior quality. Yellow hot melt glue specifically crafted for industrial strength use. This is hot glue stick .